The Vitalize Peel is the most popular SkinMedica peel that is appropriate for all skin types. It contains a proprietary blend of ingredients to help rejuvenate the skin. Achieve visible improvement after one treatment with optimal results after a series of treatments. The Vitalize Peel combines resorcinol, lactic, salicylic, and retinoic acid to offer dramatic improvement in texture and tone. 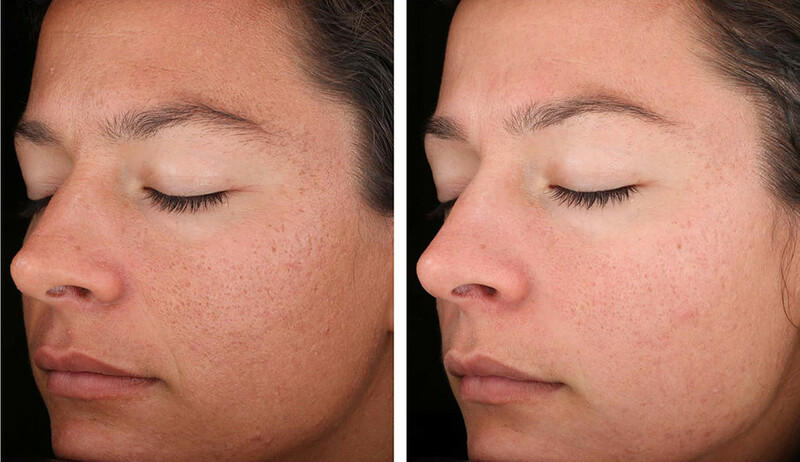 The renewal process stimulates collagen production, improves pigmentation, acne, and melasma. The skin appears healthier and more youthful with minimal downtime. For best results a series is recommended. Rejuvenize Peel can be used on all skin types after you have established tolerability to Vitalize Peel or with physician consent. To find out which chemical peel may be right for your skin, book your free consultation now! Any procedures and products that may increase skin sensitivity should be avoided before your Vitalize Peel® treatment. Ask your physician or nurse for details.